In the midst of all the other online chess shops out there, how does House of Chess compare? 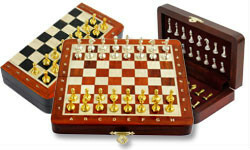 House of Chess is an international company that has been in the business of making chess sets and other equipment for more than 30 years now. Over these three decades, they have continuously improved their techniques so that they are now able to offer more, higher quality items to their customers at even lower prices. We can assume that this is a trend that will only continue over the next three decades and beyond. 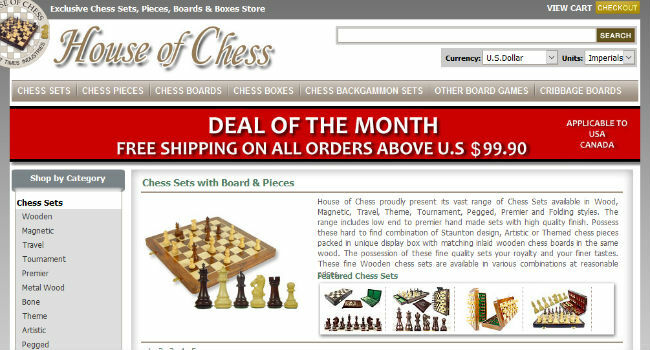 All of the chess sets, pieces, and boards sold on the House of Chess website are manufactured at their modernized factory in India, then shipped to and sold from their warehouse in New York. The artisans who make chess equipment for House of Chess were recently recognized in the Guiness Book of World Records for making the smallest ever complete chess set, which featured a tiny, wood inlaid board with matching pieces. Clearly they are very skilled at what they do! House of Chess has had a long history over its more than 30 years in business so far. Not much is known about their founder or how the business first got its start, since that information is not shared on the House of Chess website. However, the House of Chess website as well as a sister website called Cribbage Board Store are both owned by a company called Pleasant Times Industries. Clearly, since the business began sometime in the 1980s, it didn’t start out as an online store. Likely the first House of Chess was a brick and mortar store, or possibly a mail order business until it moved its stock online sometime later. From the dates listed in the copyright notice on the website, that’s likely to have happened in 2003. So, roughly half of the history of House of Chess was spent as an offline business, and half of it has been online. Despite its long years in the chess equipment business, there don’t seem to be many strong opinions on House of Chess floating around out there. Of course, they have their share of loyal customers who give their products rave reviews, but in terms of interactions with other companies in the industry, there isn’t much to go off of. They seem to exist somewhat in a vacuum. However, whatever they’re doing seems to be working for them, since you can’t put three decades of profitable business under your belt without doing something right! They may keep to themselves a bit, but it seems that House of Chess has had no trouble in attracting and maintaining loyal customers. It seems that House of Chess doesn’t get involved very much with other chess equipment businesses, and instead of forging alliances or getting involved in drama, prefers to keep its focus exclusively on manufacturing the best chess products they can make! The selection of products available on the House of Chess website is, quite simply, staggering. 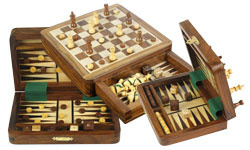 While they don’t stock traditional chess accessories like chess clocks, computers, or scoreboard or educational chess materials like books, DVDs or software, they make up for it in the sheer quantity of chess sets, boards, and pieces they offer. You can truly find something here to suit any taste. 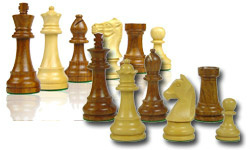 Looking at the chess set section alone, there are numerous different options to choose from. To help narrow down your search, you can select filters by type, like wooden or magnetic, by model, including Monarch and French Regence, or by theme, style, size, price, or wood type. 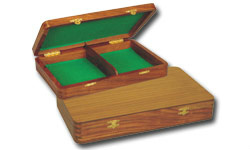 You can also search using any combination of those filters if you want something specific, like an Imperial folding chess set made of Boxwood that is not more than 16 inches square and costs less than $200. It’s a good thing that they have such robust search features, because otherwise the sheer number of products available could be overwhelming. It’s clear from the quality of all their products that House of Chess takes customer satisfaction very seriously. The artisans who craft these chess boards and pieces have been honing their craft for years as the business has grown, and the results are all of the unfailingly high quality products in stock at House of Chess. 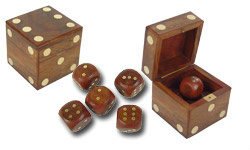 Throughout its many long years in business, House of Chess has maintained a relationship with one factory in the Amritsar region of India which produces the exclusive House of Chess line of chess sets and other chess equipment. This long standing relationship allows the business to finely tune the process over time to ensure that the most skilled artisans are hired and that policies within the factory are specifically crafted to ensure that the best and highest quality products are being made there. It’s rare in any industry for a business to maintain such an exclusive relationship with a manufacturer, which just goes to show how dedicated House of Chess is to ensuring a quality product. The House of Chess website is easy to navigate, though it’s not the flashiest or the most modern in its design. Still, though it may not look like much, it has the necessary functionality where it counts. The search and filter functions are robust to allow you to narrow down your many choices based on many different factors you may be interested in. Beyond just price and material, you can search by size, specific wood type, model, design, and more. In addition to the House of Chess website, this company also maintains another site dedicated to its line of custom crafted Cribbage boards. Cribbage is another cerebral game that’s played mainly with cards, though a wooden board and pegs are used to keep score. It’s a fun game that’s definitely worth a look if you need another game to play in between chess matches! 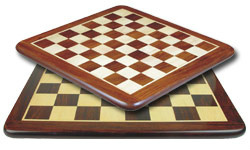 Prices at House of Chess range from under $20 all the way up to $300 and beyond. It all depends on what you’re buying. As a general rule, the bang for your buck that you can get at House of Chess is quite good. No matter what your budget is, you can find something that costs a lot less than it’s worth in terms of value. That’s what makes it such a great deal. The reason that House of Chess is able to keep their prices so low is because they are selling merchandise directly from the manufacturer. There is no middleman or re-seller to get in the way of things and charge you a high markup for the privilege of doing business through him. Orders placed online will be filled by the factory in India, shipped to the warehouse in New York, and dispatched to you. That’s the whole process. For many orders, the product you want is likely already in stock at the New York warehouse to expedite the shipping process. If the item is not in stock there, it will be shipped to you directly from the factory in India as soon as it is finished. 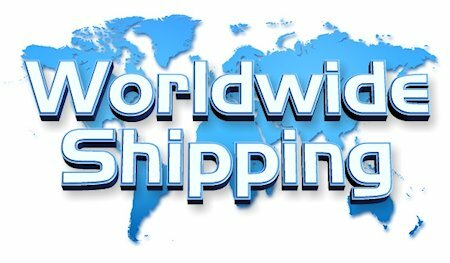 Shipping is available to almost any part of the world. In general, orders are dispatched within 2 business days of being placed on the House of Chess website. All shipments to the United States, Canada, and the United Kingdom are sent via FedEx. Shipments to other countries may use a different carrier. Shipments should generally be delivered to your address within 4 to 5 days of the shipment notification, though delays can sometimes occur, of course. 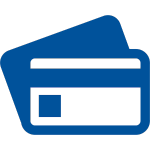 Payment options at House of Chess include PayPal, Visa, American Express, and Mastercard. Orders by phone cannot be accepted, so you must place your order online. The House of Chess Return Policy says that you may return any item you’re not satisfied with within 20 days of the shipping date. The returned item must be in its original condition and with the original packaging. If everything is in order, you’ll receive a refund with shipping costs deducted from it as well as a 10% restocking fee. This policy gives a lot less time than many others we’ve seen in different chess stores, especially since the timer starts counting down as soon as the item is shipped, rather than when you receive it. If you experience a delay during the shipping process, you may not have time to return your order, so be wary of that before you shop. Overall, House of Chess is a great place to shop for chess equipment where you can buy high quality chess sets directly from the manufacturer for a lower cost than buying through middlemen and resellers. They are usually quite prompt with shipping and can ship to anywhere in the world, although their payment options and return policies are a bit limited. Their website is somewhat dated, but it’s easy to navigate. All in all, we can heartily recommend shopping at House of Chess if you’re in the market for a good deal and not likely to need to make a return.